Olivia Borowiak is a senior at Yorkville High School who competes in distance events for the Lady Foxes. Olivia will be covering meets in the Chicagoland Area mostly and other parts of the state when her schedule allows. She wanted to be a Milesplit intern because she plans to major in journalism. Additionally, running is a major part of her life, and being able to put writing and running together is an activity she enjoys doing. An animal that best describes her is a bunny because she is small, agile, and could run fast. 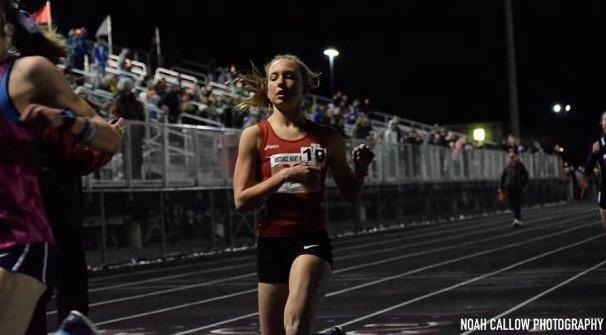 Olivia thinks the best event in track and field is the 3200m run. Her favorite sports teams are the Chicago Blackhawks and the Bowerman Babes. The food she enjoys most is ice cream while she thinks the best running shoes are made by Brooks (Glycerins <3), but the best spikes are made by Nike. She prefers iPhone because her Android doesn't work well.